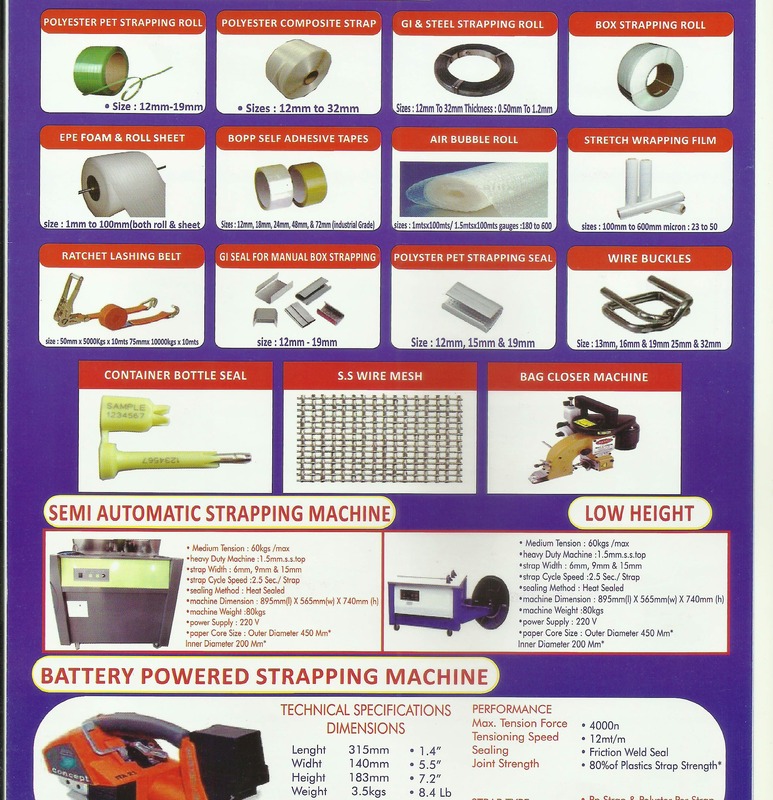 We offer Manual Bag Closer Sewing Machine at reasonable rates. It is used to sew Jute Bag, Cotton Bags and Plastic Bags. It is light and easy to use machine. It has 3 months warranty on Machine. Wire Buckles used to strap Polyester Composite Strap (Cord Strap) comes in different sizes from 12 mm to 32 mm. Mainly used size is 32 mm and used in Containers. Reasonable and Heavy Duty product. Polyerster Composite Strap (Cord Strap) comes in different sizes from 16 mm to 32 mm. Reasonable rates and Quality Product. Used mainly in Containers and Pallet Packing.